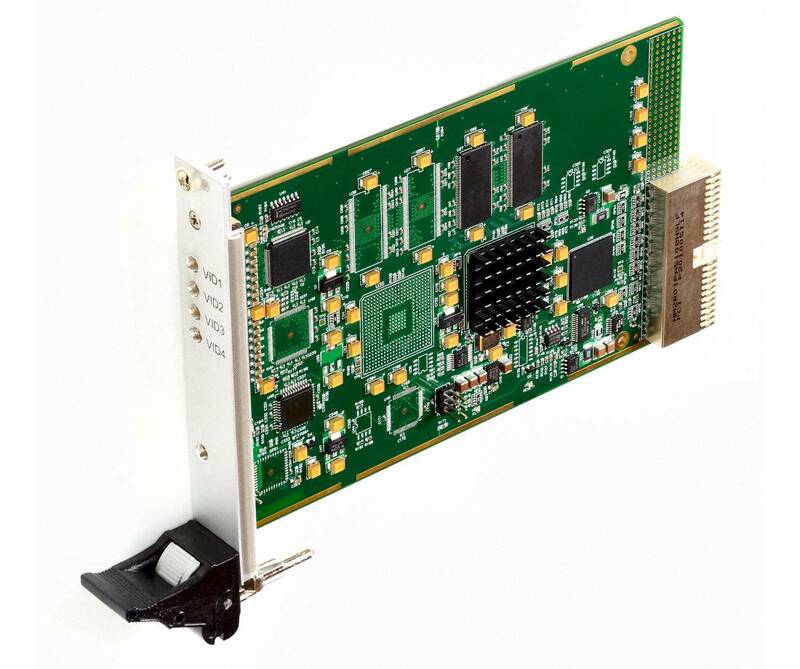 The H264-cPCI4 Encoder board is a quad channel H.264 codec for CompactPCI systems. 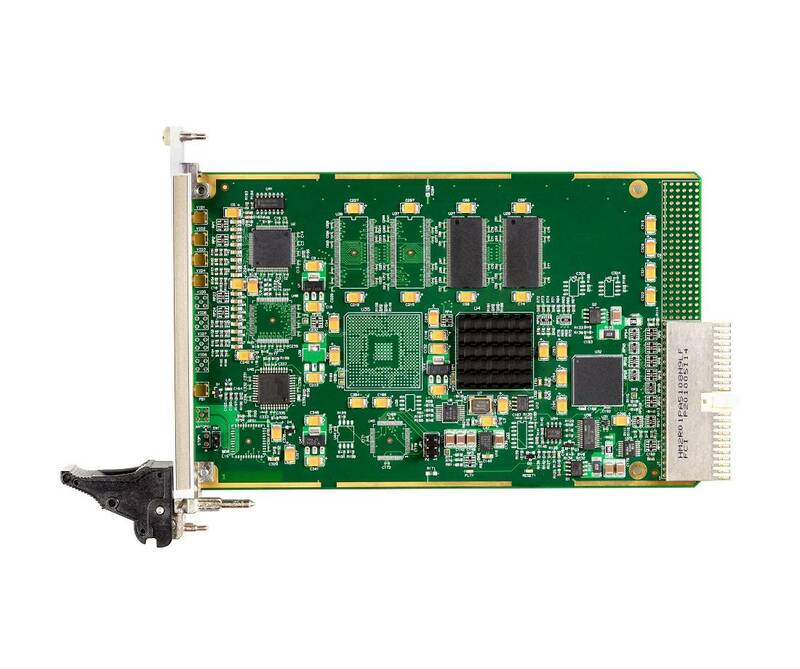 The H.264-cPCI4 provides a powerful and flexible solution for capturing and compressing up to 4 analog video inputs at full size and at full frame rate to the H.264 / MPEG-4 AVC (Part 10) compression standard. The H264-cPCI4 not only provides H.264 compression but can also simultaneously decompress and replay recordings from storage to display. 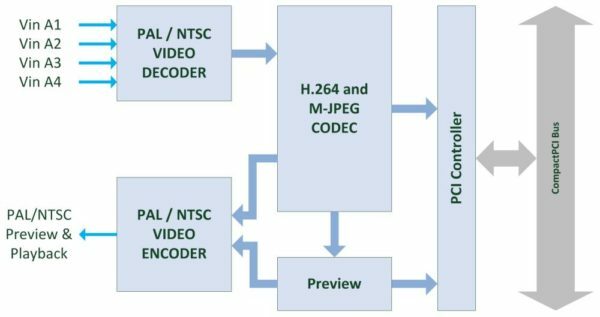 The H264-cPCI4 allows high quality real-time video capture and compression from NTSC/PAL video sources to disk and simultaneously provides an additional path for uncompressed video for on-screen preview or optional downstream video analytics. The high performance H.264 video data compression and efficient bus utilization allow multiple H264-cPCI4 cards to be fitted in a CompactPCI for multi-channel video recording and streaming applications. The H264-cPCI4 is supported by a set of well-documented comprehensive SDKs that minimize development risk and shorten time-to-market for applications in video streaming, recording, or routing. The SDKs are available for Windows and Linux.